I randomly threw together this salad, and it turned out to not only be beautiful to photograph, but also delicious and refreshing as well. It was just some romaine lettuce, chopped cucumber, celery, diced nectarine, dried cranberries, sunflower seeds, and poppy seed dressing. 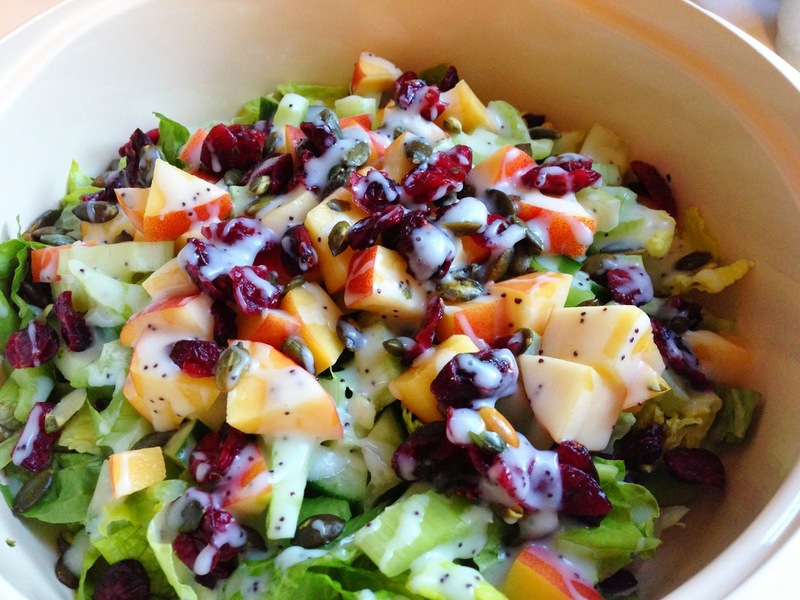 I used some pre-made dressing, but have also had this salad with homemade dressing. Homemade is good, but hard to get that same taste in the dressing as store-bought. You could go either way.